Racing fans have had plenty to keep them entertained this bank holiday weekend in the form of MotoGP from Jerez and British Supebike action at a far wetter Oulton Park. It was yet another tale of one man dominating proceedings, at least during the start of the weekend. 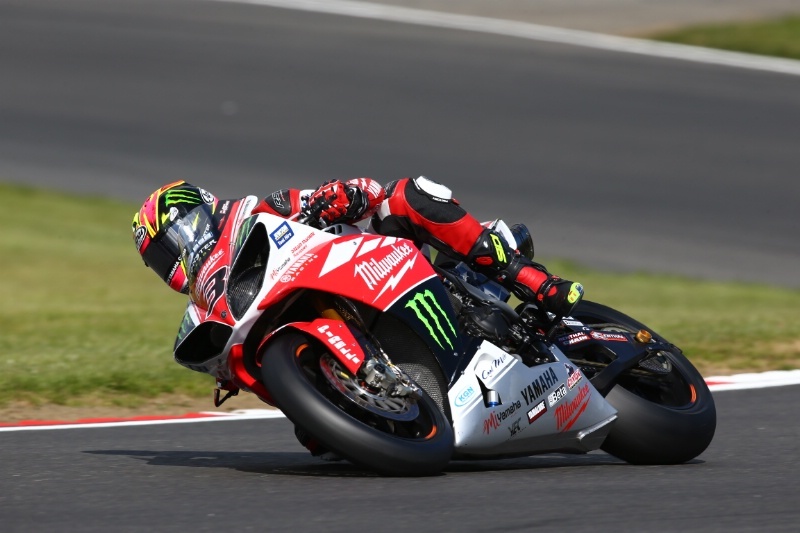 Shane Byrne arrived at Oulton Park fresh from a double victory in the opening round at Brands Hatch and was looking to build on the 50 points he’d already bagged. Race one got off to a bit of a false start with Simon Andrews crashing the only way he knows how, spectacularly, which caused a safety car to be brought out onto the circuit. 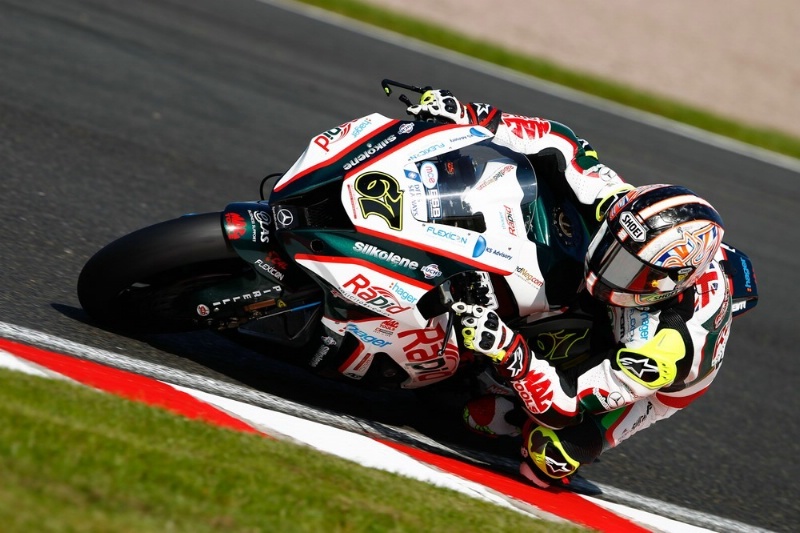 The racing resumed on lap four and Byrne forged ahead as Ellison slipped past Brookes to take second place followed by Chris Walker, Stuart Easton and Tommy Bridewell. 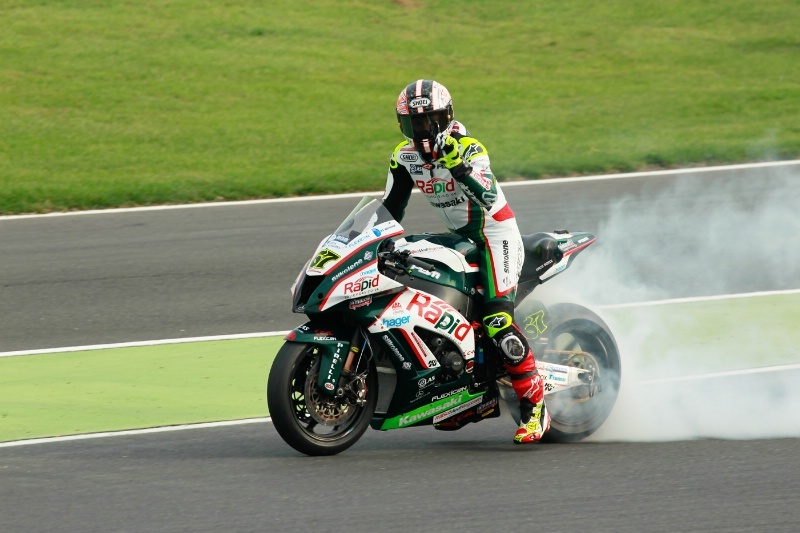 As Shakey continued to lead, Walker crashed out on lap 7 on his recently rebuilt GB Moto Kawasaki which exploded in a ball of flames earlier in the weekend during an innocuous looking practice spill. Yamaha rider Josh Brookes was on a real flyer in pursuit of Shakey and smashed Ryuichi Kiyonari’s 2006 lap record in the process. It wasn’t enough though and Byrne held out until the chequered flag for his third straight win in a row this season. Race two saw a similar scene playing out with Australian Brookes and Shakey battling once again for the lead. Brookes was keen to put a stop to Byrne’s dominance and he did just that by pipping him to the finish with the roles reversed from race one. It marked Brookes’ maiden win of the year after a battle for the lead saw him edge ahead of Byrne and maintain his lead to the chequered flag. Byrne was briefly caught by the Kawasaki of James Ellison who momentarily dropped Byrne back to third place but the Englishman quickly fought back and brought his Rapid Solicitors Kawasaki home for a second place finish, maintaining his lead in the championship.